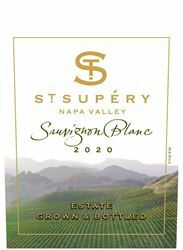 By Appointment Only, 10:00 a.m. - 5:00 p.m.
St. Supéry Estate Vineyards and Winery is a 100% Estate Grown, sustainably farmed winery located in the renowned Rutherford growing region in the heart of Napa Valley. The winery focuses on its estate grown varietals; sauvignon blanc, cabernet sauvignon and red Bordeaux varieties. St. Supéry was founded by third-generation French vintner, Robert Skalli in 1982 when he purchased the Dollarhide Ranch. The Dollarhide Ranch, located high in the northeastern mountains of Napa Valley, is 1,531 acres with over 500 acres planted. Dollarhide is the primary source of St. Supéry’s distinctive estate sauvignon blanc and cabernet sauvignon. The winery, in Rutherford, has an additional 35 acres planted with cabernet sauvignon, merlot, cabernet franc and petit verdot. Since 2015, the winery is owned by CHANEL, Inc. and continues its mission of continuous quality improvement, while maintaining Napa Green Winery and Vineyard certifications to protect the environment for generations to come. St. Supéry Estate's Napa Valley winery and art gallery welcomes guests by appointment 10 a. m. - 5 p.m. for tastings, tours, Interactive Wine Experiences and special events. Members of the St. Supéry wine club receive exclusive access to small lot estate wines, wine club only events, special offers and a savings on wine purchases. Check for new releases and local tasting events at stsupery.com, Twitter, Facebook and Instagram. Our team is friendly and approachable, knowledgeable and respectful. Please let us welcome you to our estate in Rutherford, and pour our award winning Sauvignon Blancs and Cabernet Sauvignons. Well-behaved canine friends are welcome. View from Tasting Room: Outside the Winery is a spectacular view of our Rutherford Estate Vineyard. Inside you can see into virtually every part of our cellar through viewing windows located in our Elevation Room on the second floor of the Winery. Wine Education: Educational programs by appointment, including private tastings & Interactive Wine Experiences (Wine & Cheese, 5 Bordeaux Varietals, Inspired Whites, Aromatherapy with a Corkscrew, Cabernet Sauvignon Collector Tasting & Ampelography Master Class). Food Available: We serve small bites featuring produce from our Rutherford and Dollarhide estates, as well as gourmet cheese and charcuterie. These small bites are served with a number of our Interactive Wine Classes and special food and wine pairing events. To join the wine club, visit www.stsupery.com or call 707-963-4507. Members of the St. Supéry Wine Club receive exclusive access to small lot estate wines, wine club only events, special offers and a savings on wine purchases. Wines are delivered to your home or business throughout the year. Shipment schedule and member benefits details can be found online at stsupery.com. We look forward to hosting our Napa Neighbors at St. Supéry Estate Vineyards & Winery located in Rutherford. Napa Neighbors receive 2 for 1 Winemaker's Selection Tasting for up to 4 guests and 33% savings on our 2017 Napa Valley Estate Sauvignon Blanc, while supplies last. Reservations and a Driver's License or State ID with a Napa Address are required. Please call our Estate Concierge at 707.302.3448 or email reservations@stsupery.com to schedule your experience. St. Supéry Estate Vineyards & Winery is certified under the Napa Green Winery Program by the Napa County Department of Environmental Management (DEM) and the Association of Bay Area Government’s (ABAG) Green Business Program and completed all the regulatory components needed for environmental sustainability. These components included developing water and energy conservation methods, preventing pollution, and reducing solid waste. In addition to developing sustainable winery practices, this program is set to become the standard for the state of California. St. Supéry Estate Vineyards & Winery is certified under the Napa Green Certified Land Program. St. Supéry Estate Vineyards & Winery has created and implemented a customized farm plan with measured results that addressed all aspects of its property, vineyard land as well as non-farmed land, including practicing soil conservation, water conservation, stable drainage, riparian corridor enhancement, fisheries and wildlife habitat enhancement and long-term improvement and sustainability.